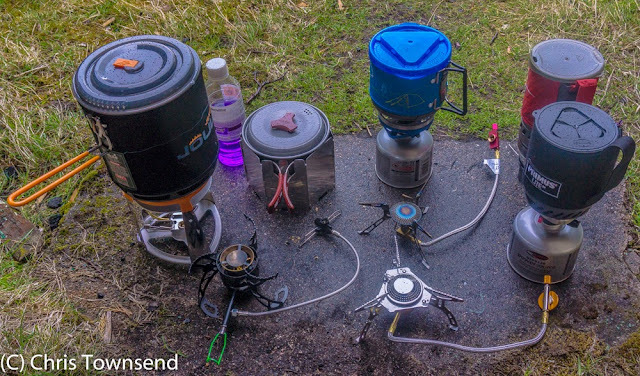 A cool breeze, air temperature +5C, light drizzle - just right for a group test of backpacking stoves for the June issue of The Great Outdoors. Interesting to see you test the new Optimus Polaris. Compared to the Nova it has a significant perfomance boost from 2850 to 4200 Watt according to Optimus website. I wonder what that will do to fuel efficiency. The little fire maple stove is excellent and a very stable backpacking stove. I also have used the Vango stove just in front of it in the photo and it too performs very well. The weight is a touch high but it’s good value for money. - Bomb-proof. Unlikely to get damaged. It may not be the fastest to the boil, but I'm rarely in a rush on the hill. I wouldn't be without mine! camping stove is very useful for backpacking. But that is not all that good backpacking stove. All of the bad backpacking stoves are also in trouble. This is important to know the backpacking stove test. It’s a very useful post. thanks for the efforts.